Having a sleepy night in your Gatlinburg, TN cabin? 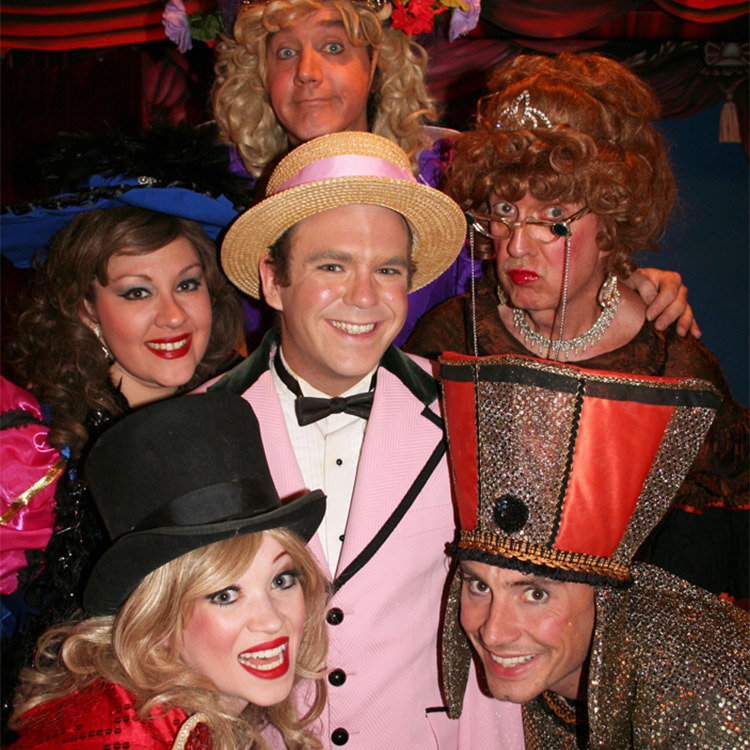 Liven your evening up with the vivacious cast at Sweet Fanny Adams Theatre in Gatlinburg, TN! 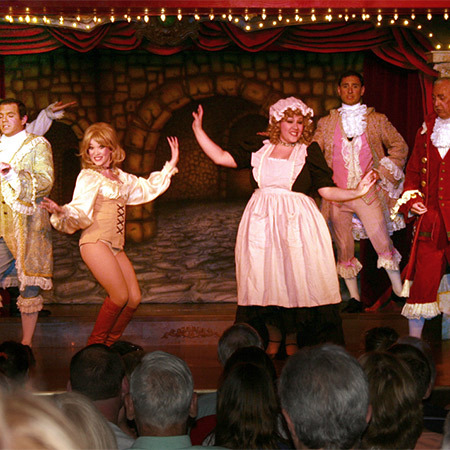 This show in Gatlinburg has been performing side-splitting musical comedies since 1977. Discover why this celebrated Gatlinburg theater has become such a beloved institution in the Smoky Mountains! This fantastic show is set in a historic theater in downtown Gatlinburg. In fact, the Tennessee State Senate has recognized the theater as a national treasure. As the longest running show in the Smoky Mountains, there's no doubt this theater has earned its place as top-notch Gatlinburg entertainment. For every theater season, Sweet Fanny Adams Theatre creates two new acts to add to the lineup. The result? You can always expect fresh and innovative performances. Some of these musical comedies have gone onto enjoy national acclaim and have been performed in Las Vegas and Atlantic City. The theater shows are modeled after the old music and dance halls of the 1890s, so it's guaranteed that you haven't seen something quite like this before. Set in an intimate space, there are several acts that call for audience participation. All in all, Sweet Fanny Adams has found the perfect mix of musical fun and slapstick entertainment. So what can you expect from Sweet Fanny Adams in Gatlinburg? Something unique. For any observer, it's easy to tell that the performers love what they do. These skilled actors bring a special energy that makes audience participation a breeze. This is definitely a silly and light-hearted show, but even for the jaded among us, it's undeniably fun. Call For Reservations - This is a popular show in Gatlinburg and with new acts every theater season. Visitors come year after year to see new performances so it pays to make a reservation early for good seats. Snacks – There is a nice refreshments bar in the theater with favorites like popcorn and other goodies. Show Times – Performances begin at 8 pm. 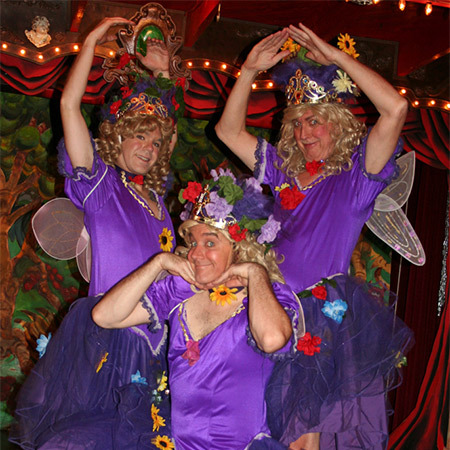 Sweet Fanny Adams has a dynamic show schedule with different performances on different nights. Be sure to check out their performance schedule to find the performance you want to see! Location - Sweet Fanny Adams is located near Traffic Light #3 close to Ripley's Aquarium. Sweet Fanny Adams unique brand of humor is something for everyone to see! Better yet, this show surely is terrific family entertainment. Both kids and adults will be doubled over with laughter (though it may not be at the same thing.) This theater is definitely worth adding to your vacation itinerary. Please Note: Cabins USA Gatlinburg's area information, area events, and blog pages are provided as a public service. Cabins USA Gatlinburg does not endorse any of the products, vendors, consultants, or businesses referenced in these web pages. Any mention of vendors, products, businesses, or services on the Cabins USA Gatlinburg web site is for informational purposes only. Users of this web site are responsible for checking the accuracy, completeness, currency and/or suitability of all information. The inclusion of this information does not imply endorsement by Cabins USA Gatlinburg. Furthermore, specific questions regarding any content should be directed to the appropriate organization and not necessarily to Cabins USA Gatlinburg.